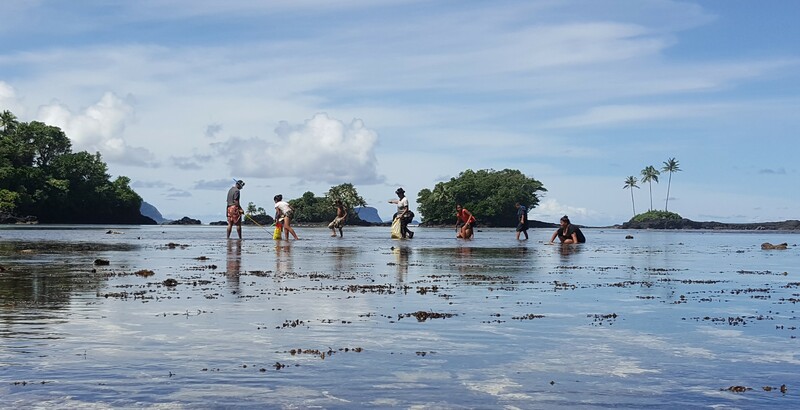 VICTORIA – State officials and civil members in SEYCHELLES have acquired more skills to enable them to negotiate successfully for support in Climate Change matters globally. 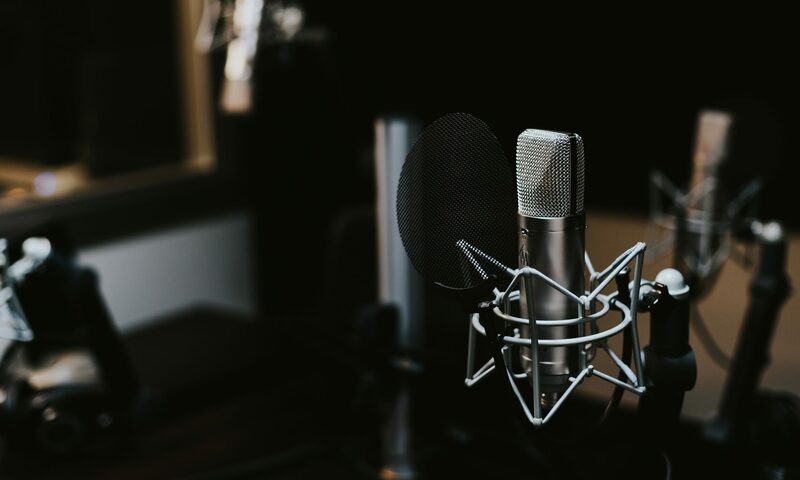 The national news agency, SNA, says they have attended a training course covering areas aimed to better equip them for times when they take part in international meetings. 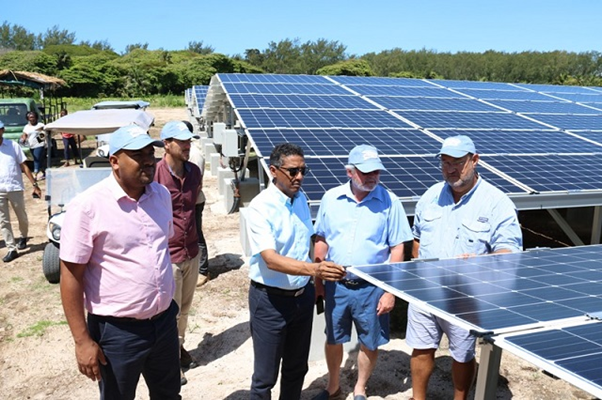 SEYCHELLES’ Permanent Representative to the UNITED NATIONS, RONNY JUMEAU, says the impact of Climate Change is becoming more obvious on the western INDIAN archipelago. As a small country, SEYCHELLES continuously needs support and has to make its voice heard internationally. Mr JUMEAU says the task requires people dealing with issues of Climate Change to be skilled in a variety of areas such as advocacy and negotiation. He says ONE vital factor such negotiators need to take into account when they attend global Climate Change meetings is how to get access to financing. SEYCHELLES has become a high-income country now, which makes it more difficult to get access to financial support for local Climate Change Adaptation projects. Climate Change Adaptation is a response to global warming effects like hurricanes, droughts, floods, and other disasters such as disease outbreaks; and it aims to reduce the vulnerability of social and biological systems to the relatively sudden changes. Island nations also under threat from rising sea levels (Pic. UNDP)Mr JUMEAU says because of the status of a high-income country, which makes potential funders reluctant to open their wallets, negotiators need to be skilful and know what they are talking about to lure the donors. 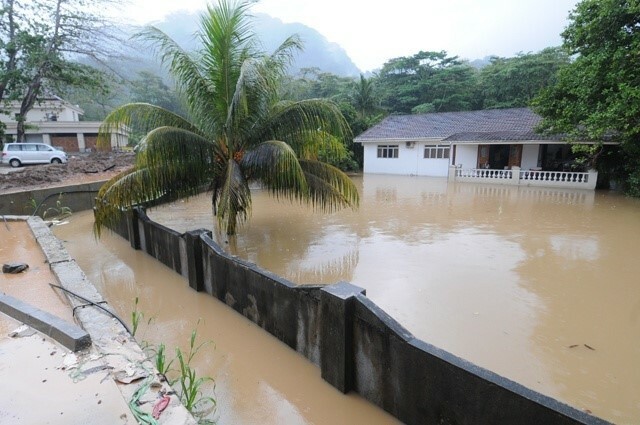 His comments come as Climate Change is adversely affecting the economic development of SEYCHELLES, and impacting directly on the livelihoods of the islanders; and access to funds is vital to the survival of the island country. SNA says the workshop comes right after the GLOBAL CLIMATE CHANGE ALLIANCE PLUS INITIATIVE has completed a Capacity Needs Assessment recently. The national news agency says participants in the program have identified the need for strengthening the knowledge and skills of SEYCHELLOIS Climate Change negotiators. Project Facilitator ANGELIQUE POUPONNEAU says SEYCHELLOIS negotiators have been eager to know about Climate Change Diplomacy; and how to engage in discussions on the subject. Some delegates to the workshop have already been to the UNITED NATIONS Framework Convention on Climate Change Conference of the Parties, and others scheduled to take part in the next meeting wanted to be better prepared. Ms POUPONNEAU also says after attending the EUROPEAN UNION funded training, they now have basic skills to engage in negotiations on the global arena. ONE of the delegates, Senior Policy Analyst ELISSA LALANDE, has described the workshop as very enriching, saying she is now ready to represent the country at any international meeting on the subject. 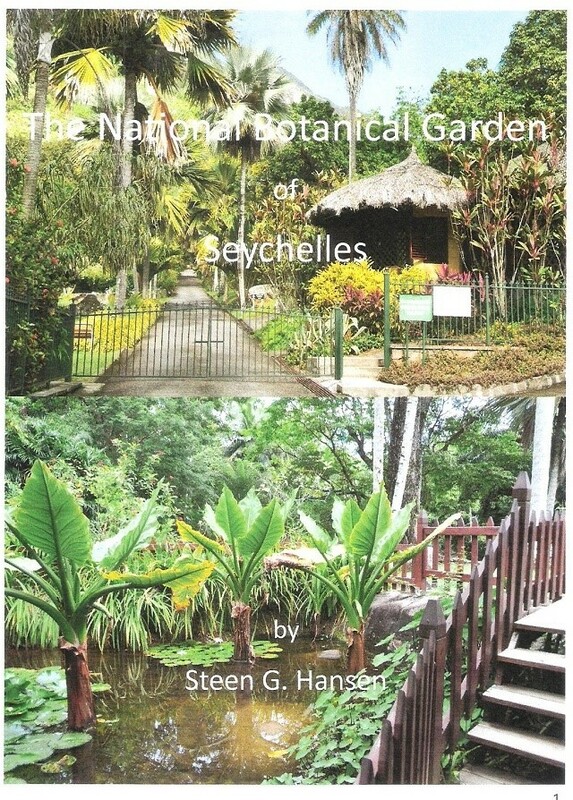 VICTORIA – STEEN HANSEN, a DANISH national, has written a new book on the biodiversity of the tropical plants in the SEYCHELLES Botanical Gardens on the MAHE Island. SEYCHELLES News Agency says visitors to the park, situated in the capital, VICTORIA, can now gain better insights into the plant community of the garden, thanks to the guidebook. It says the publication is already on sale at the ANTIGONE Bookshop in VICTORIA at 26 US dollars a copy. The book focuses on the ethno-botanical aspects of the garden, with details of the origin and names of the existing plants as well as the level of global threats they face, and how they can be of use as food, medicine and in craftsmanship. Mr HANSEN says his work can give readers an insight of the international plant community because it is an environmental book with information on the importance of conservation and what it is there left to be preserved. He also says the plants in the SEYCHELLES Botanical Gardens, in the central district of MONT FLEURI, are very rich and important, as they have rare qualities – while some are unique to the place and the island nation. Mauritian Agronomist RIVALZ DUPONT established the 15-acre garden as a botanical station in 1901, making it ONE of the oldest national monuments of SEYCHELLES. The authorities transformed it into a proper botanical garden in the late 1970s, and it is now under the management of the National Botanical Gardens Foundation. SNA also says the botanical is a living green heritage providing a quiet, green getaway with a 20-minute walk from the busy VICTORIA CBD; and it is ONE of the must-see places in the 115-island archipelago, for tourists and locals with a love for nature. Mr HANSEN says due to climate change and other negative impacts on the environment, it remains a relief to find such places like the Botanical Gardens still exist – with a preserved array of plant and animal species. The DANISH author, who has been living in SEYCHELLES since 2005, has already launched THREE other books: THE FLORA OF THE SEYCHELLES, the STRIKING NATURE OF CURIEUSE ISLAND, and more recently THE TEA FACTORY. 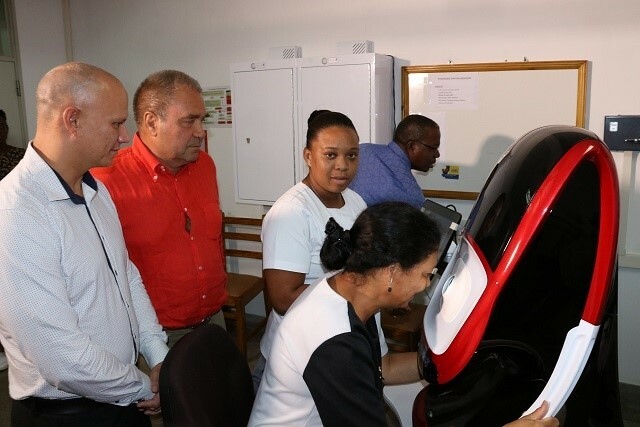 VICTORIA – The SEYCHELLES Ministry of Health is localising eye surgery services in partnership with the TEACHING EYE SURGERY FOUNDATION of SWITZERLAND. The INDIAN Ocean island country has a five-year plan aimed to stop external attention for different ailments of the eye, and the State has managed to open its FIRST domestic surgical facility. SEYCHELLES says ONE of the services now available is vitreoretinal surgery, which involves surgical procedures on the retina at the back of the eye. It says Health Minister JEAN-PAUL ADAM has addressed the media this week, saying with this latest development, the country is on track with its vision to domesticate all eye surgeries within FIVE years. He says the TEACHING EYE SURGERY FOUNDATION is not only helping with a donation of medical equipment, but also with training to build the capacity of staff at the new unit. Minister ADAM says they have a long-term partnership with the SWISS-based Foundation, which has made it possible for the Ministry to carry out the vitreoretinal surgery locally. He has also commended the dedication and work of Professor CYRUS TABATABAY, Founder and President of TEACHING EYE SURGERY FOUNDATION. The veteran surgeon this month undertook his THIRD consultative trip to the Ophthalmology Unit at SEYCHELLES Hospital; TWO years after the Ministry signed a Memorandum of Understanding with the foundation in 2016. 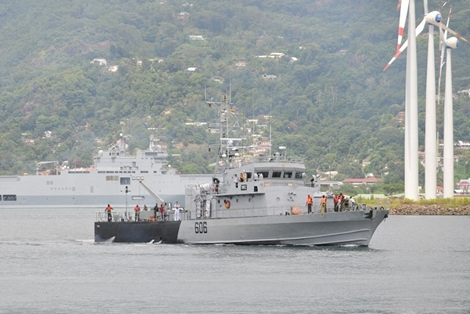 SNA says the Professor normally makes TWO visits per year to SEYCHELLES, and during the latest leg, he helped to set up the service as well as with the FIRST FOUR procedures. The Consultant in Charge of the Ophthalmology Unit at SEYCHELLES Hospital, ROLAND BARBE, has explained some of the immediate benefits of the vitreoretinal operations. He says the service will help address the large number of diabetic patients with proliferative diabetic retinopathy who need such attention, unlike the present situation where they have to go to INDIA or SRI LANKA. Currently, SEYCHELLES has only ONE fibre-optic cable, built under the SEYCHELLES East AFRICA System connecting the main island of MAHE to DAR ES SALAAM, TANZANIA. The new facility will connect the county to the PAKISTAN East AFRICA Cable Express by a submarine cable system, laid on the seabed between land-based stations to carry telecommunication signals across stretches of ocean and sea. The latest submarine cable system has TWO landing points in the PAKISTANI cities of GWADAR and KARACHI and it stretches across AFRICA as well as EUROPE. The scheme is part of efforts by CHINA to offer better connectivity between the potentially rich but unexplored AFRICAN markets, according to the PRO-PAKISTANI publication. 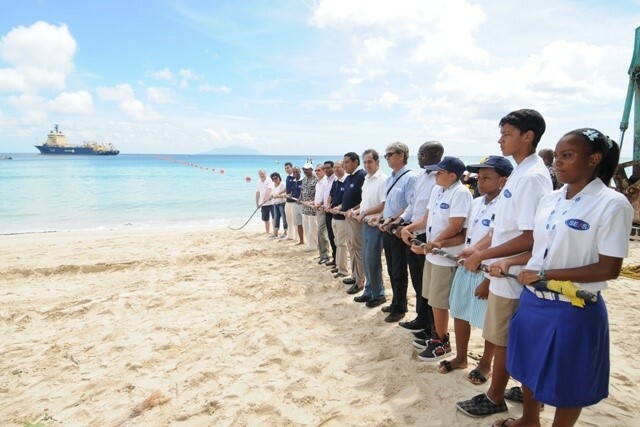 SEYCHELLES Cable Systems Company has signed the new deal with HUAWEI MARINE NETWORKS, PEACE CABLE INTERNATIONAL NETWORKS, and HUAWEI INTERNATIONAL. The national news agency says President DANNY FAURE has witnessed the signing ceremony this WEDNESDAY in the CHINESE capital, BEIJING, and the project is to start in 2019, with completion in 2020. SNA quotes Information Communication and Technology Principal Secretary BENJAMIN CHOPPY as saying the contract marks the start of achieving ONE of the strategic national infrastructure projects. He says with the SECOND submarine cable link, the country achieves a long-desired goal of security in its international telecommunications links, as connectivity to the rest of the world is indispensable for a small island developing state. Earlier on President FAURE told citizens during his 2018 State of the Nation Address on SIX MARCH, in case of an accident with the FIRST cable, the SECOND cable provides an alternative route. His comments came after telecommunication services in the country were interrupted for close to HALF a day due to civil work carried out in DAR ES SALAAM in mid-JANUARY. VICTORIA – SOUTH KOREA has pledged to cooperate with SEYCHELLES in areas like e-government and the police force to strengthen bilateral relations between the TWO nations. Newly accredited Ambassador LIM HOONMIN says his country will also support the SEYCHELLOIS blue economy policy. 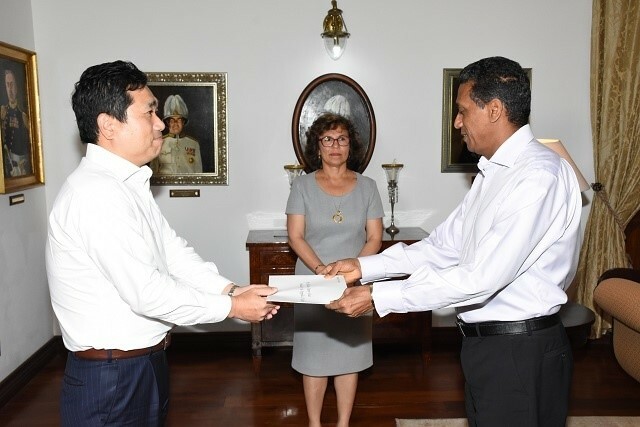 SEYCHELLES News Agency says he has issued a statement after presenting his credentials to President DANNY FAURE at State House in the capital, VICTORIA. Ambassador HOONMIN says there are also still a variety of areas SOUTH KOREA and SEYCHELLES to promote further, such as fisheries, renewable energy, and maritime security. 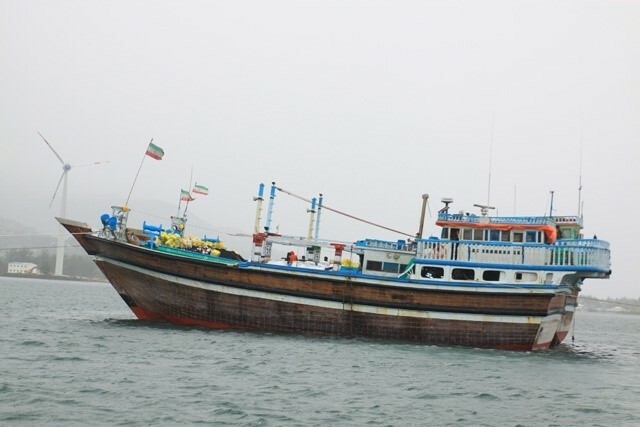 SEYCHELLES News Agency says SOUTH KOREA has a number of vessels fishing in the Exclusive Economic Zone of SEYCHELLES, an archipelago in the western INDIAN Ocean. A SOUTH KOREAN company, UNISON, has been helping with the operation and management of a wind farm over the years, while local engineers and technicians have benefited from training as well. Ambassador HOONMIN says tourism is yet another area the authorities can further develop to benefit the TWO countries. He says SEYCHELLES is a popular destination for newlyweds in KOREA, with more than ONE-THOUSAND couples travelling for their honeymoon to the island nation. Ambassador HOONMIN, who will based in ADDIS ABABA, ETHIOPIA, says such a situation is a very good start for increasing tourism cooperation between the TWO countries. He also says ties within the safari industry can be strengthened further with the finalisation of the aviation agreement between SOUTH KOREA and SEYCHELLES. The SEYCHELLES Tourism Board in JUNE took part in the 12TH Edition of the HANA TOUR International Travel Show, which is SOUTH KOREA’s largest travel exhibition. Under the theme: SEYCHELLES – the Heaven You Must Visit before You Die, the Tourism Board showcased the island destination to the SOUTH KOREAN travel trade and potential visitors. SNA says the head of the SEYCHELLES Tourism Board office in SOUTH KOREA, JULIE KIM, has revealed the SADC country is highly reputed on the KOREAN market as an upper-end honeymoon destination. 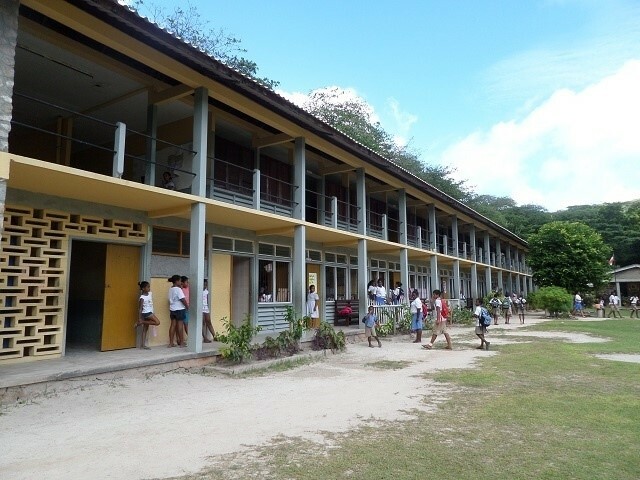 VICTORIA – The SEYCHELLES National Assembly Civil Code Committee has launched discussions on a number of issues, including the sharing of property between unmarried couples. The discussions also covered the ability to dispose freely of property on death; as well as other matters raised during the FIRST day of discussions for the revision of the national Civil Code. The national news agency, SNA says the dialogue started this TUESDAY to scrutinise the SEYCHELLES Civil Code Bill of 2017, which will once approved, replace the Civil Code of SEYCHELLES Act 1975. It quotes National Assembly Bills Committee Chairperson BERNARD GEORGE as saying the country has since 1976 been using the amended ENGLISH Civil Code. He says things changed a few years ago when the Supreme Court proposed modernisation of certain areas of the Code due to ongoing changes in the country. SNA also says the Civil Code provides the basic rules of law of SEYCHELLES for relationships between people. It further says an international consultant who drafted the Bill has explained the purpose of the revision and the work that has been done for the past FIVE years. TONY ANGELO, from the Faculty of Law of VICTORIA, University of WELLINGTON in NEW ZEALAND, says the Civil Code has articles that oppose some rights guaranteed under the Constitution. He says there are provisions in the current Code that if challenged in Court will undoubtedly be found to be void on grounds of breach of fundamental rights. National Assembly Bills Committee Chairperson BERNARD GEORGE says the Civil Code dates back to 1806 and was inherited while the archipelago was still a FRENCH colony. He says the authorities then set up the Committee and used the theory of law established over the years to come up with new articles for the Code, a document of more than ONE-THOUSAND pages. Pertinent and sensitive issues debated involve equalising the rights of children, sharing of property in an arrangement where a married couple and a lover of ONE of them live together while sharing sexual relations – en ménage relationship. The revised Code also aims to cover the rights of co-owners and the ability to dispose freely of property on death, as well as provide for the civil rights of SEYCHELLOIS in modern form and appropriately reflect and protect current social institutions. SNA says the revision exercise began in 2013 and proceeded with a series of committee meetings, all of which were open to public consultations. Also attending the discussions are MAURITIAN legal representatives, SABIR KADEL, a senior law reform officer, and ROSARIO DOMINGUE, the Chief Executive of the MAURITIUS Law Reform Commission.